Tickets to Sunday’s Yogathon Fundraiser for survivors of Nepal’s 2015 earthquake start at $30 with a 30% discount for groups of 3 or more. If you are passionate about promoting World Peace and love yoga, the fundraiser is a wonderful opportunity to combine both. 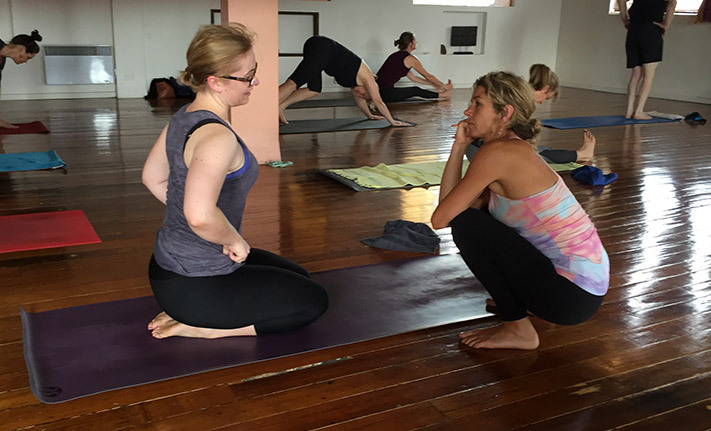 Teacher Vishal (pictured) from our Shala will lead an hour of Ashtanga Yoga at the upcoming Yogathon for World Peace to raise money for Nepal following its devastating earthquake last year. Get in early for an exclusive deal on tickets for our students. If you’ve ever wanted to try other yoga styles, and are passionate about helping to effect World Peace, there is a wonderful opportunity to do both at the Yogathon for World Peace on May 22 2016. 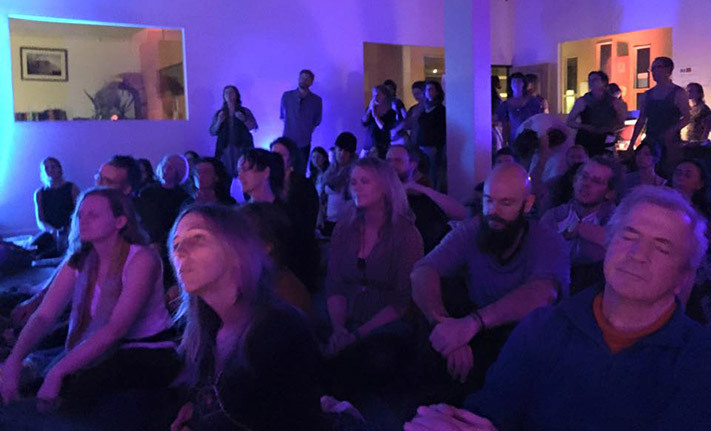 Attendees at last week’s night of singing and prayer at The Ashtanga Yoga Centre of Melbourne, which raised $6,000 for Nepal. 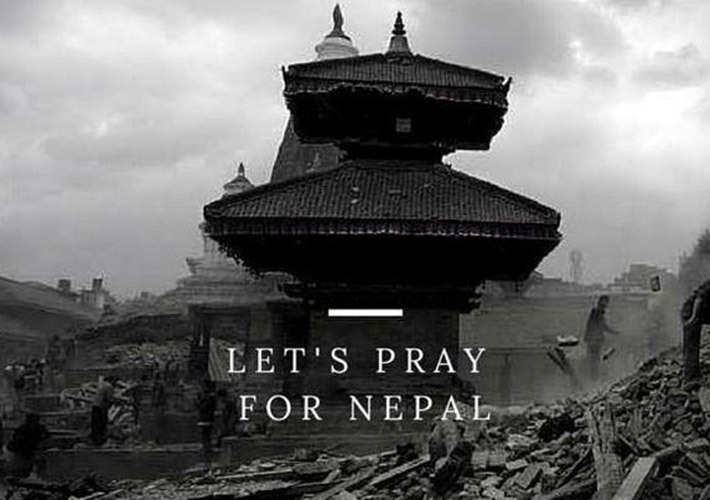 Join us on Friday night at The Ashtanga Yoga Centre of Melbourne, where we will host a night of prayer and song to raise money for Nepalese left living in devastation following last week’s earthquake. Over 7,000 people have died in Nepal’s earthquake on 25 April, and those left are living in devastation and waiting for relief supplies. 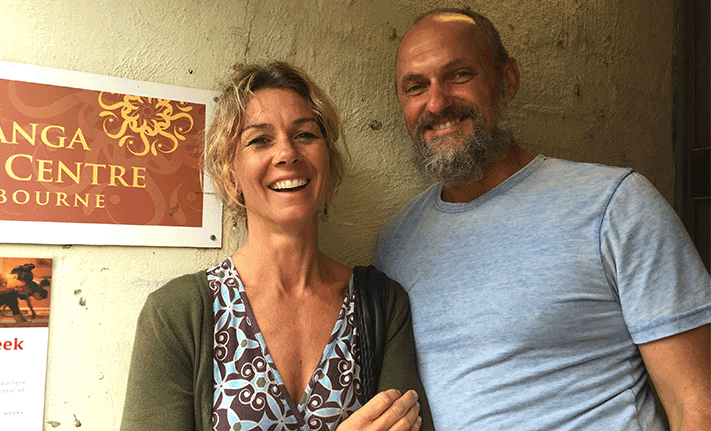 We are joining non-profit organisation The Art2Healing Project and Kirtanists (singers) Chakradhyan Chant-Baba, Mel Dobra and Sun Hyland to raise money to help survivors, with a night of prayer and singing at our Centre this Friday night. Tickets are $25 online or $30 at the door.